Dad’s Day Out at The Village Shops! 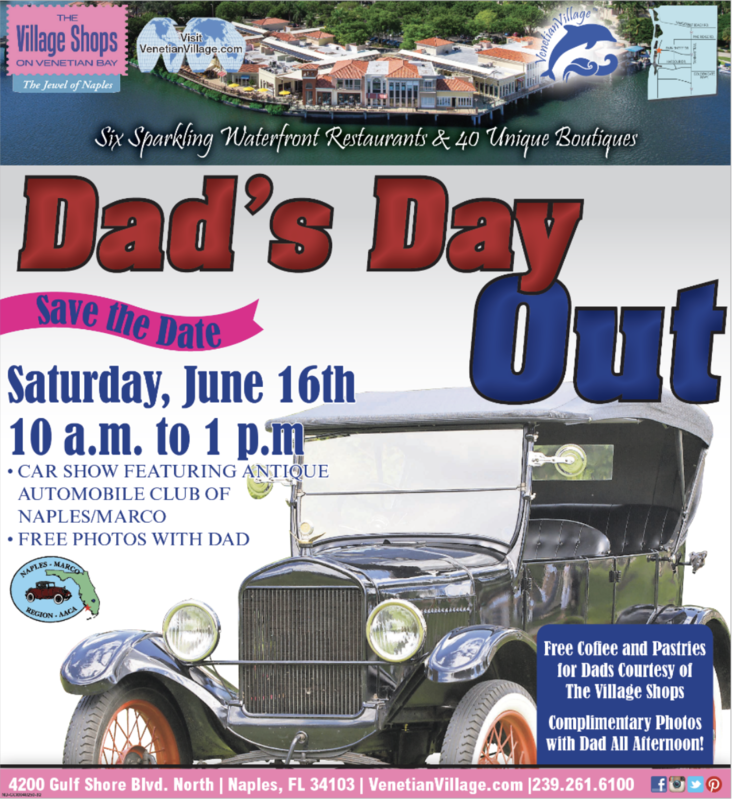 Join The Village Shops on Saturday, June 16th, from 10am-1pm for the annual Dad’s Day Out! 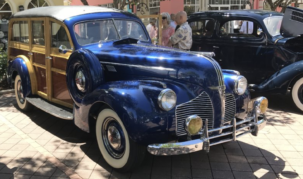 Treat the special father, grandfather, husband, or father figure in your life to a spectacular day on the Bay filled with cars, treats, and waterfront shopping and dining. 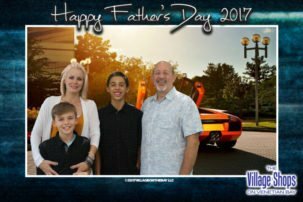 Make sure Dad’s first stop is at the table of refreshments, compliments of The Village Shops, before viewing the car show. 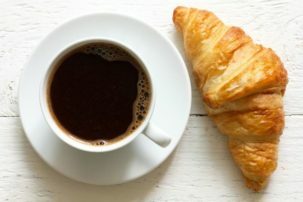 The Village Shops will help jumpstart Dad’s morning with an assortment of pastries and coffee. 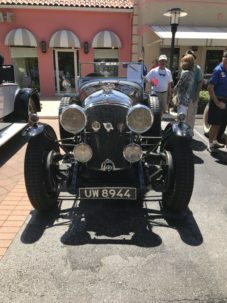 Starting at 10am, The Naples-Marco Antique Automobile Club of America will roll in showcasing their unique collection of antique cars. Stroll along the north side of The Village Shops viewing the 25+ classic cars that are sure to spark admiration among all generations. Which old fashion automobile is your favorite? Vote for your favorite car, between 10am-12pm, casting your ballot in the drop box located under The Village Shops’ tent on the north side. Once your vote is in, stop by the photo booth to capture your special memories with Dad! Enjoy a complimentary print and email photo to remember your day on the Bay. At 12:30pm, join us under the tent as we announce and present trophies to the 1st, 2nd, and 3rdplace winning cars. Stick around and see if your favorite antique car will take home the winning trophy! After the event, take in more of the breathtaking views by treating Dad to lunch at one of our six sparkling waterfront restaurants. We look forward to seeing you at Dad’s Day Out!